TGC delhi, the leading Multimedia & Animation institute in delhi Rajasthan is offering Graduation degree i.e. Bachelor of Science in Animation & Multimedia , with our collaboration and association with the Kalinga university and conducting a 3 years/6 semester university program in Animations and Multimedia. 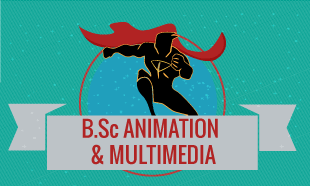 These courses are specially moduled in favor of students who have recently completed their 10+2 grade and are very much interested in making a career in Animation, Multimedia and also the Visual Fx industry. There is always a reason for any season. “Just like my one time lecturer in High school will always exclaim” for the fact that we learn also shows that we hope to earn someday, TGC has an incredibly organized and sure placement cell which has provided job opportunities for a great number of students within delhi and various other annexes of the TGC Animation and Multimedia Institute in the past few years. As well as assuring students of quality and good paying jobs to ease them off the stress and trouble they underwent to acquire these rare skills. TGC is a very qualified and authorized government training platform for those whom intend to furthermore there education in order to get a more broadened and wide knowledge in their respective animation and multimedia courses. TGC delhi assures a complete 3 years of learning, exposures and experiences in the best studios, production houses and live project houses.